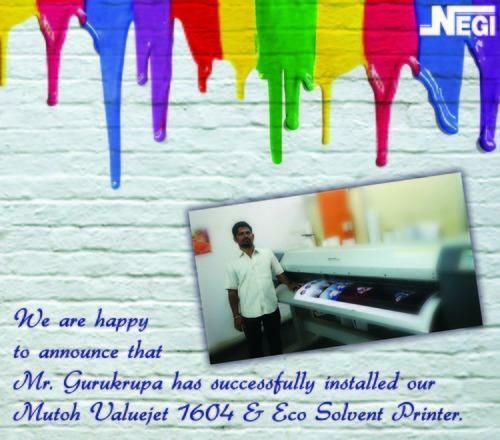 Testimonials and customer reviews of Negi Sign Systems & Supplies Co.
Mutoh ValueJet 1604k4 EcoSolvent Printer for printing Indoor Media graphics. The reputation that the NEGI SIGN has for quality, reliability and value for money were the key factors in our decision to purchase this large format eco solvent printer. We have experienced the efficiency and consistency obtained from Mutoh patented technology as an investment for this business rather than a cost. "I am delighted customer of Negi, every details was attended and taken care of . 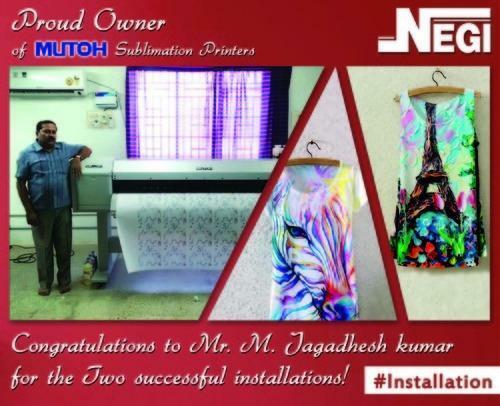 I recommend Negi for being the superior printer brand "
Purchased Two Sublimation Printer For Tshirt Printing. 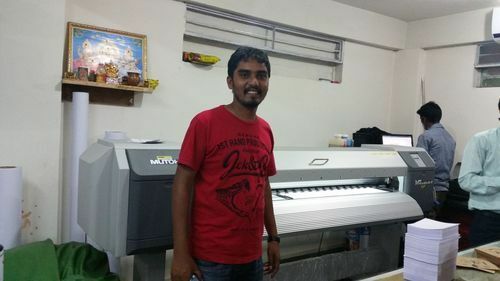 "Combine quality and speed of Mutoh Sublimation Printers is a result of a successful outcome and a complete can to do attitude . 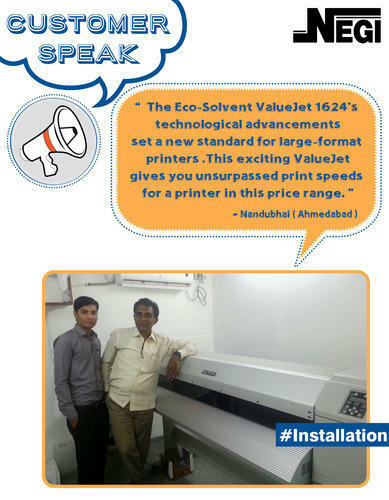 Feeling proud to be the owner of Mutoh Sublimation Printers "
The EcoSolvent Printer 1624 technological advancements set a new standards for large format printers.This exciting Value Jet gives you unsurpassed print speeds for a printer. Providing High Class Printer Solutions all over India. 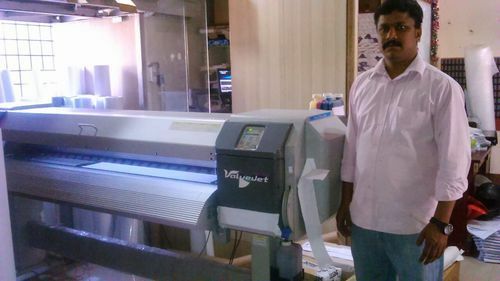 We have installed 1604 EcoSolvent Printer and its has been delivering high class printing continuously. Very happy with its quality and service provided by Negi.